In the first session in East Renfrewshire, different care at home providers came together to discuss the new care standards. Working together, members of the group were able to introduce themselves to other providers as well as discuss any issues they were experiencing in relation to implementing the new care standards into their current practice. This was a very thorough and emotive session, that communicated many of the issues facing care at home service providers trying to integrate with other health and care services. Similar to our first session in Perth and Kinross, the group also discussed any barriers or concerns they had about working to the new standards, in hope that we could address some of their points in future sessions. Who needs to be in the room? 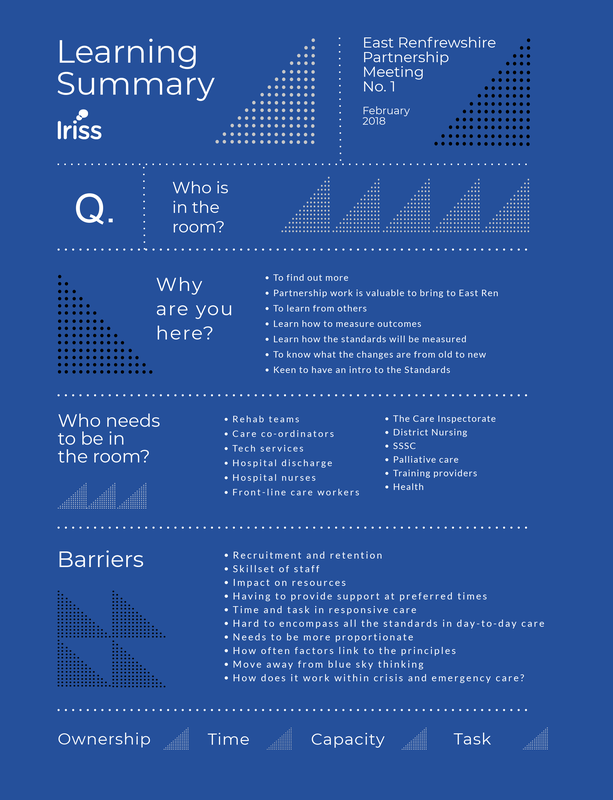 How does it work within crisis and emergency care?